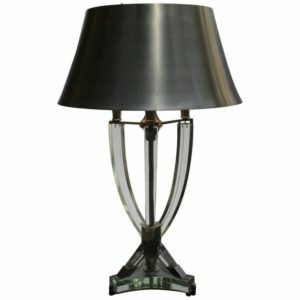 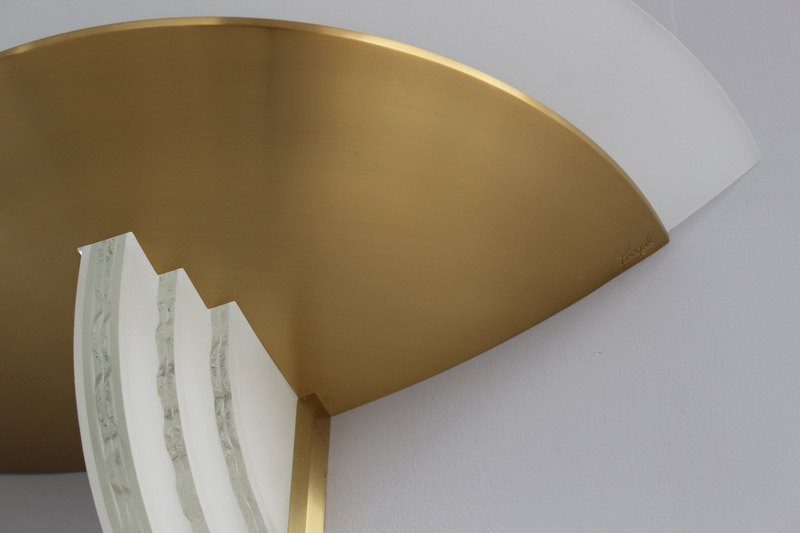 With frosted and clear hand cut glass underlined with a bronze frame which supports bronze and frosted glass bowls. 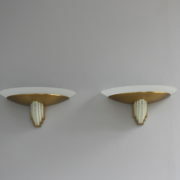 Good, slightly patina-ed. 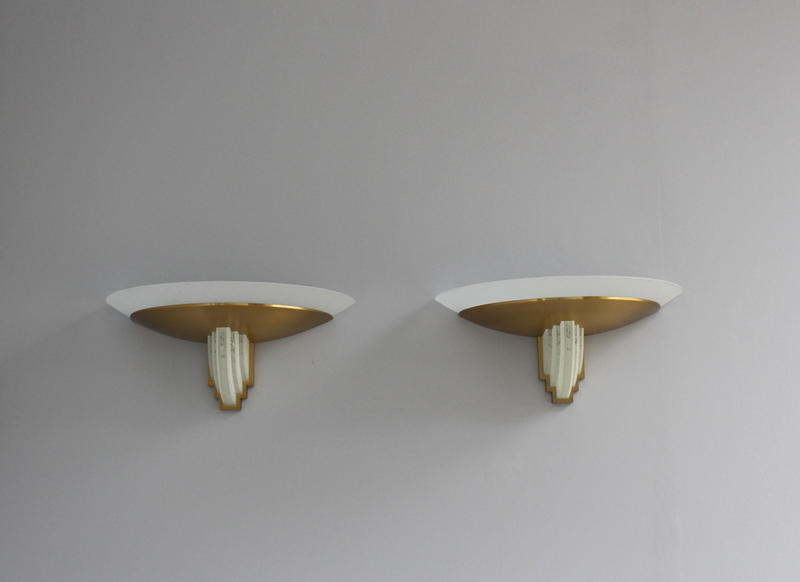 Wiring good for US with 2 standard bulbs per sconce. 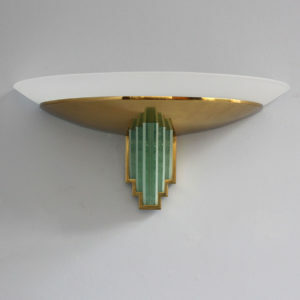 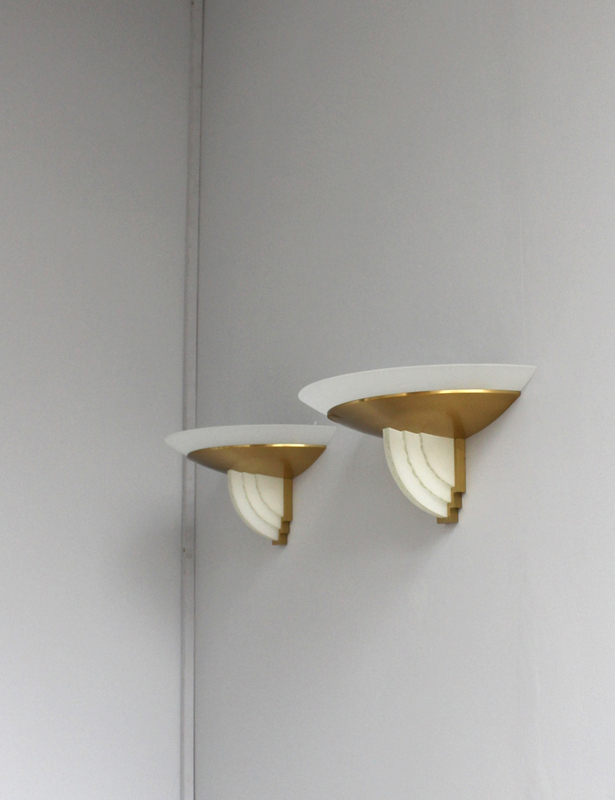 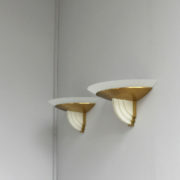 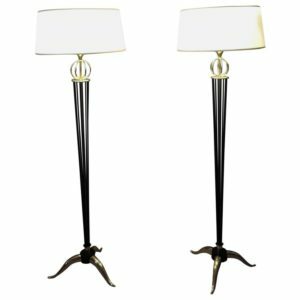 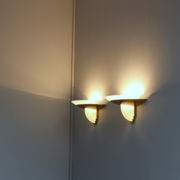 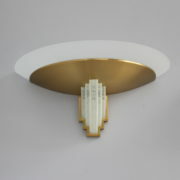 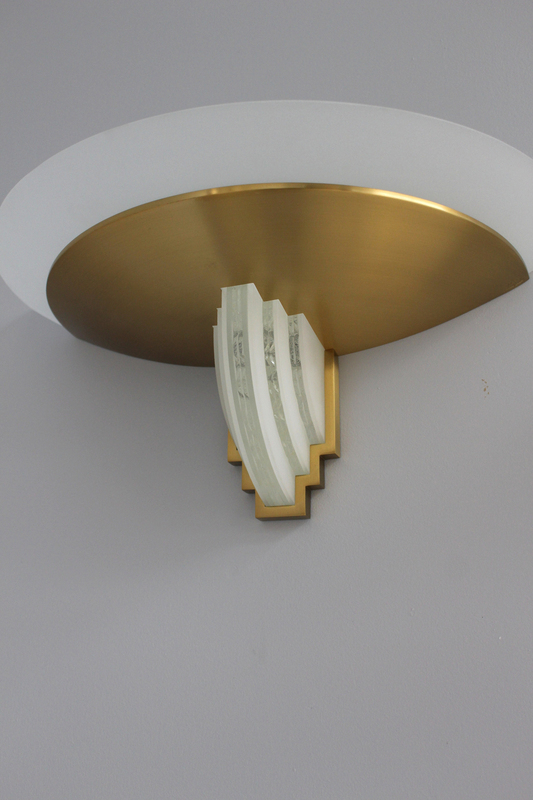 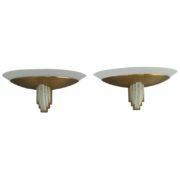 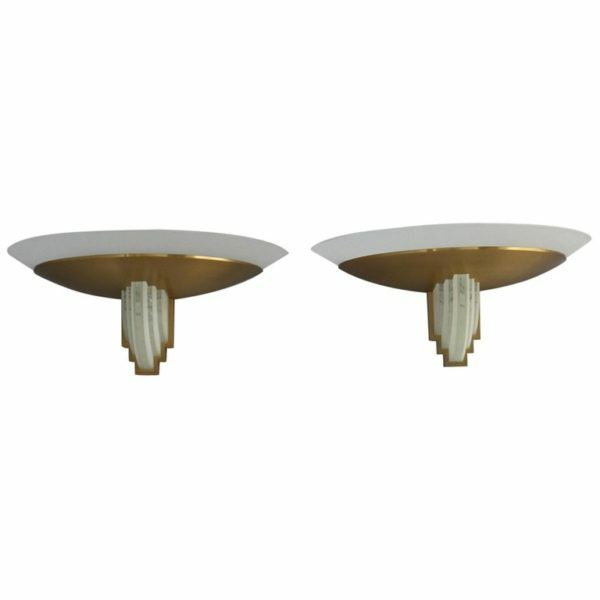 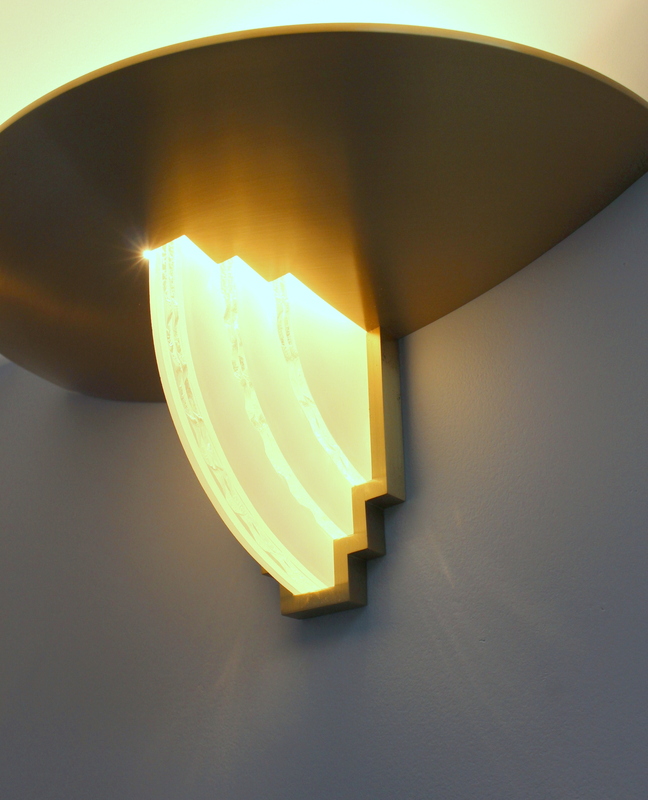 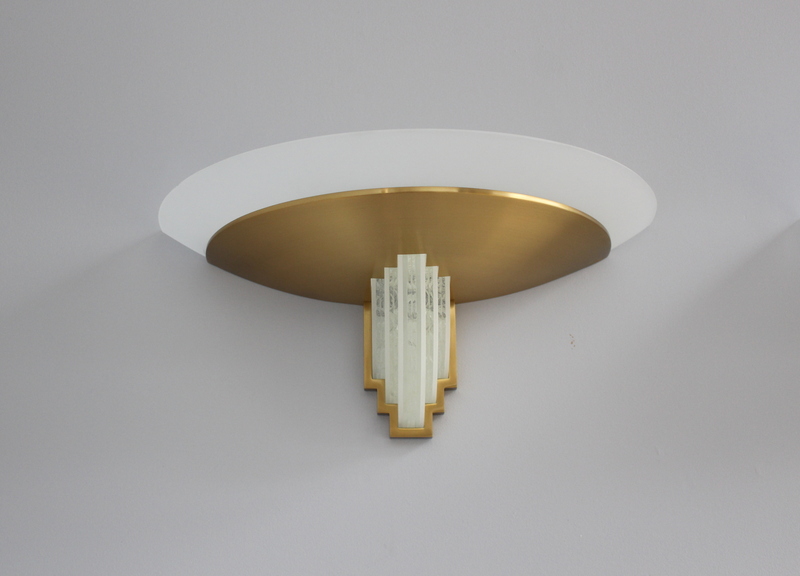 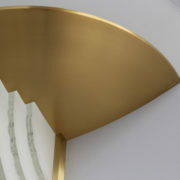 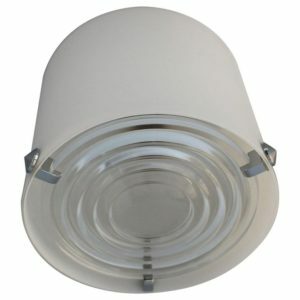 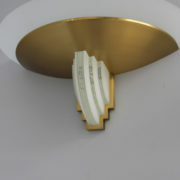 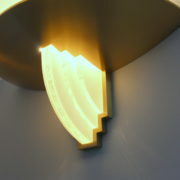 Soyez le premier à laisser votre avis sur “Pair of Fine French Art Deco Bronze Hand Cut Glass Sconces by Jean Perzel” Annuler la réponse.